Looking for deals in Munich? Featuring free WiFi throughout the property, Motel One München-Olympia Gate offers pet-friendly accommodations in Munich. Guests can enjoy the on-site bar. The bed was confortable, the bad wasn't big but the shower was big and not a small shower cell as it is usual in Germany :) The bar was exceptional, because of the gin variety. The location was good, near a park with coffee shops and restaurants. Hotel Excelsior offers world-class accommodations and the chance to explore Munich on foot. Hotel was very central & very clean. The staff was exceptional! The food at the hotel restaurant was out of this world!! A 3-minute walk from Munich Central Station, this modern hotel has soundproof rooms with free Wi-Fi access, a breakfast buffet, and a 24-hour front desk. Marienplatz Square is a 15-minute walk away. Very clean and comfortable, in the city center, professional staff. This historic, 4-star hotel in central Munich offers rooms with free Wi-Fi, and a rich breakfast buffet every day. Marienplatz Square is just a 5-minute walk away. -Minibar included in the room cost. -Nice breakfast, not too big but tasty. -Excellent location. -Very nice staff. Hotel Metropol stands in a quiet side road, a 5-minute walk from Munich Central Station. It offers free WiFi and air-conditioned rooms. Great location, 3 mins walking to Munich center station. Great room with comfortable bed and pillow. Great staffs who are very friendly and gives advises when check-in. The price was very fair. I’ll definitely stay here when next time I’m in Munich. Located in Munich, a 10-minute walk from Glyptothek, 25hours Hotel The Royal Bavarian has a fitness center. An Experience, not just a room. Featuring a fitness center and a terrace, Leonardo Hotel Munich City East is located in Munich and is 5 miles from New Fair Munich and ICM. Great breakfast, close to S-Bahn and U-Bahn. Located in Munich, 0.8 mi from Karlsplatz (Stachus), Cocoon Hauptbahnhof features a garden and a terrace, as well as free WiFi. Such a cute theme and very unique rooms. Also good breakfast and bar. Holiday Inn Express Munich City West is located in Munich, 0.9 mi from Nymphenburg Palace and 1.9 mi from Oktoberfest - Theresienwiese. Guests can enjoy the on-site bar. Very clean and modern amenities. Breakfast was perfect and good variety. Featuring simple and contemporary design, Super 8 Munich City North is located just north of Munich's city center. Enjoy free WiFi access in all areas as well as the stylish bar and a sun terrace. A really nice and clean hotel. Staffs there are quite friendly. Breakfast is good as well. Located just 1312 feet away from the S-Bahn Station Laim, Super 8 Munich City West enjoys the central location with the major attractions such as the Marienplatz or the Oktoberfest ground all within... Good location. Easy to hop on subway and get to the city center. Great for Oktoberfest. This traditional hotel in Munich's Aubing district has spacious rooms with free Wi-Fi and free parking. 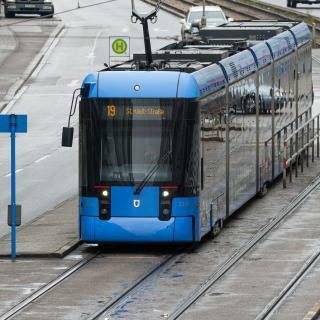 It is only a 15-minute S-Bahn (light rail) ride from the center of the city. Staff was friendly, efficient and professional. Featuring a fitness center, shared lounge, bar and free WiFi, Hampton By Hilton Munich City West is located in Munich, 1.6 miles from Theresienwiese and 1.9 miles from Karlsplatz (Stachus). Everything else, especially breakfast, it is really good. Gambino hotel CINCINNATI offers accommodations in Munich, 66 feet from Fasangarten metro station. Free WiFi is provided. Modern, very clean, perfect location right beside tram. Supermarket next door also. Featuring free WiFi throughout the property, Hotel Der Tannenbaum offers accommodation in Munich, 650 metres from German Theater. All rooms come with a flat-screen TV and a private bathroom. Excellent location right inside the old town. Normal sized clean room. Quiet. Mk | hotel münchen city is a 3-star property located in Munich. Located around a 14-minute walk from Karlsplatz (Stachus), the hotel is also 0.8 miles away from Theresienwiese. Loved the rooms so much. They are super modern and so spacious. They are also very clean. Built in 2016, the 4-star Leonardo Hotel Munich City South features contemporary design with free WiFi and an on-site restaurant. Great breakfast, wonderful staff and the room was comfortable and clean. Luxurious rooms, and the famous Matsuhisa, Munich restaurant are featured at this 5-star hotel in the heart of Munich's Old Town. Great location! Bed was very comfortable. Staff was friendly and helpful. The Splendid Dollmann is in an elegant 19th-century town house in the heart of the historic Lehel district of Munich. Hotel was beautiful, Staff was friendly and great! This hotel in central Munich offers stylish rooms with flat-screen TV and French balcony. 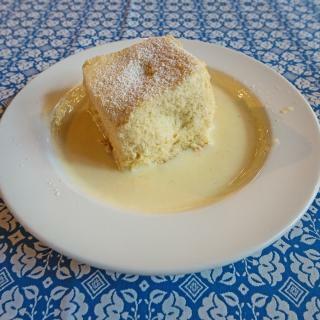 It features a Japanese restaurant and is located beside the Viktualienmarkt, a 2-minute walk from Marienplatz.... The location is amazing and the service is very professional and genuine. Hotel Excelsior offers world-class accommodations and the chance to explore Munich on foot. Hotel was very central & very clean. The staff was exceptional! How much is a hotel in Munich for tonight? On average, it costs $110 per night to book a 3-star hotel in Munich for tonight. You'll pay around $152 if you choose to stay in a 4-star hotel tonight, while a 5-star hotel in Munich will cost around $361, on average (based on Booking.com prices). What are the best hotels in Munich near Olympiapark? Some of the best hotels in Munich near Olympiapark include Motel One München-Olympia Gate, Artist Residence Schwabing and Leonardo Royal Hotel Munich. Which hotels in Munich have nice views? BEYOND by Geisel, Rocco Forte The Charles Hotel, and Motel One München-Campus got great room view-related reviews from travelers in Munich. How much is a hotel in Munich for this weekend? The average price per night for a 3-star hotel in Munich this weekend is $227 or, for a 4-star hotel, $291. Looking for something even fancier? 5-star hotels in Munich for this weekend cost around $774 per night, on average (based on Booking.com prices). Which neighborhood is the best one to stay at in Munich? Bogenhausen, Au-Haidhausen, and Maxvorstadt are popular with other travelers visiting Munich. How much does it cost to stay in a hotel in Munich? On average, 3-star hotels in Munich cost $119 per night, and 4-star hotels in Munich are $159 per night. If you're looking for something really special, a 5-star hotel in Munich can be found for $386 per night, on average (based on Booking.com prices). Which hotels are the best ones to stay at in Munich? Rocco Forte The Charles Hotel, Hotel Torbräu, and Motel One München-Olympia Gate are some of the popular hotels in Munich. What are the best hotels in Munich near Munich Airport? 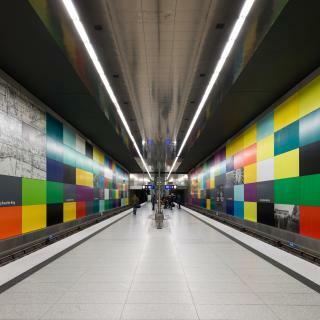 Travelers who stayed in Munich near Munich Airport (MUC) have said good things about Hilton Munich Airport, Novotel München Airport, and NH München Airport. Which hotels in Munich are good for families? Many families visiting Munich loved staying at BEYOND by Geisel, Mandarin Oriental, Munich, and Hotel Grünwald. Which hotels in Munich are good for couples? These hotels in Munich are highly rated by couples: BEYOND by Geisel, Schwabinger Wahrheit by Geisel, and Hotel im Hof. Which hotels in Munich offer an especially good breakfast? For hotels in Munich that serve highly-rated breakfasts, try BEYOND by Geisel, Hotel im Hof, and Hotel Metropol. Renowned for its stunning architecture and the world’s largest fair, Oktoberfest, Munich needs little introduction. Its vibrant cultural scene, great shopping and fantastic museums speak for themselves. Munich has something for everyone: from historic palaces and castles, to stunning royal avenues to world class galleries and museums. Don't miss the new city hall, or Glockenspiel, in the heart of Marienplatz or the former residence of the Bavarian kings, the Residenz. 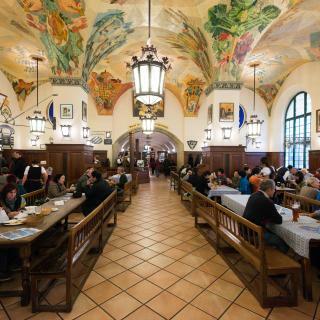 Munich is also home to the world’s most famous beer hall, the Hofbräuhaus. For great shopping, Karlsplatz is a pedestrian zone which takes up much of the city centre and the upscale area around Maximilianstrasse is yet another commercial wonderland. Munich is famous for its food too, so make sure you try the local Weißwurst, Leberkässemmeln and other popular pork dishes. Thanks to efficient S-Bahn train, getting to the city center from Germany’s second busiest airport, Munich International Airport is quick and easy. Whether you’re looking for luxury hotels, youth hostels or comfortable apartments, Booking.com has the perfect accommodation for your Munich visit. A really great city, plan well your stay (keep some free time in your agenda for randomness) and use public transportation to travel around. If you can, plan a short ski trip during winter, hiking or biking trip in summer. And make sure to see Neuschwanstein. 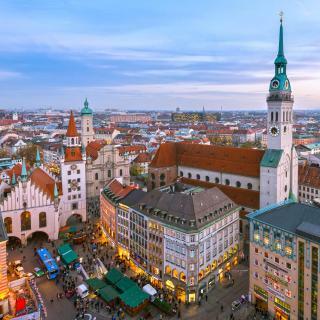 Munich is not only great for a city break, it can be the base of day trips to numerous attractions all within a 2 hour drive - including Stuttgart for the Mercedes Benz museum, and great road trips alongside the Alps. 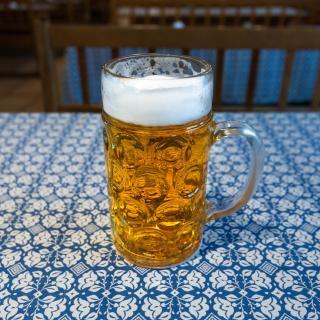 Bavarian beer and pork products are legendary for their taste! Within Munich, the BMW museum and the Old Town are must visit places. Marien Platz and Town Hall are really something special, but there are a lot of other interesting buildings to see. English garden is perfect place on a sunny day. Eating was a bit problem, sometimes no menu on english. Munich is one of the richest cities in Europe and the ancient capitol of the Kingdom of Bavaria. The art and history museums are incredible -- plan to spend some time -- as is the Deutche Museum (science and technology). The cathedrals range from the ancient to the Rococo and most are open to the public for a visit. The public transportation is excellent and the fare machines DO have an English option. Note that the food in the beer halls tends to consist of pork and potato dishes so you might want to eat at one of the many ethnic restaurants (Italian, Indian, Afgani...) in town as well. The Italian restaurants, even the small ones, in Munich are excellent. There are also many bakeries and coffee shops alone the main pedestrian walking area. 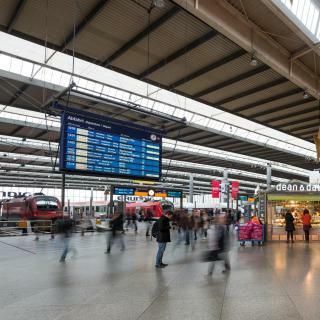 You can also do day trips to Nuremburg (via the ICE, or Inter-City Express), Freising (via the S-Bahn) and Salzburg (normal train) from the main train station, Hauptbahnhof, which is at one end of the pedestrian area and accessible via an underground pedestrian street crossing. Shopping in Munich can be pricey but the quality of the shoes and clothing in the high-end shops is impressive. And yes, the staffs are multilingual. I went there on a good weather season. I went there on a good weather season. Mornings are chilli, (last week of March)gets hot through the day and goes back to chilli at night. Munich has great tours, I have used a free tour which walked around the historical areas of the city, great for pictures! Recommend to start in MarienPL. Dancing clocks has three times schedule 11am, 5pm and 6pm. Its a great! Try the Saint Peter Tower, will allow you to view the clock dancing at great view and its great on price. I was impressed by the tour to the concentration camp in Dachau, for me it was a must go point. And to relax do not forget to stop by the beergarten, great beer and food at a reasonable price. I tried Saint Augustine (Market ??? Restaurant) the food was good (traditional german) but I rather eat at beergarten the place to be if you like to mingle with some locals having fun and beers. highly recommended. Bring euros great place for souveniers shopping. Sparkly clean, good heating, comfy beds, hot water in the shower (very useful in winter!) and friendly staff. Most importantly, it is within walking distance from a train station and conveniently located despite not being in city centre. Just 3 stops to Marienplatz and it is also possible to walk to the Hauptbanhof from the hotel. Supermarkets and restaurants nearby the hotel too. I would certainly recommend this to everyone :) will be staying here again when Munich invites me over! The hotel was exactly what I was expecting. Clean, stylish and very comfortable. Perfect for a short city break in wonderful Munich. It was slightly further out from the city centre but I liked this as the area was very quiet. Only a short walk into the bustling city. The breakfast was amazing. So much choice that was replenished frequently. Staff are very friendly too. Thoroughly recommend this hotel for any visitors to Munich. The value for money is the best in Munich. You get a simple yet tasteful room with all the necessary stuff - even some nice touches such as free coffee and tea. There is no breakfast included, but they have special offer in the bakery next door. You get a large breakfast for just 8 Euros. The location is well served by public transport. You will be in the city centre in 25 min. The suburban train runs directly to the airport. 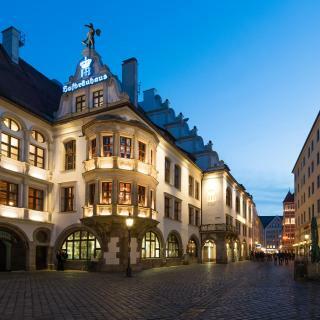 The hotel is centrally located a short walk with luggage from Munich central train station. Also a ten to 15 minute walk to Marienplatz. It’s a boutique hotel with great rooms and an outstanding breakfast. The staff is wonderful and accommodating to all we needed. Oh yea, the elevator is small but super innovative to fit the theme of being in the alps and riding the lift either up or down from the mountain. What a lovely hotel! Newly built, quiet and clean rooms with a brilliant location for the city. It’s an expensive city and this hotel means you can see it without too much expense. The tube station is visible from the station so is hardly a problem; the U5 gets you into the city centre in 20 mins. Comfortable rooms enabled us to get the best night’s sleep of our interrailing trip. We stayed at Super 8 Munich City West for 2 nights. The hotel was great. Room was small but clean, warm and comfortable. The location was really good, just 250 m from train station and from there it takes 8-9 minutes to get to the city center. Staff was friendly and wi-fi was really good. I would recommend this hotel! It was an excellent stay in this hotel with very polite helpful staff , the room was very clean and it is location near the city center only about 8 mins by tram . I recommend it for all and if l come back to Munich I will stay in this hotel again. Enjoyed the hotel it was a little removed from the city center but was a peaceful setting and close to public transportation which was easy only 30 minute trip to the Munich train center.. we really enjoyed the stay. Hotel staff were nice and accommodating, let us check in considerably early. Rooms were basic and clean, hotel was in a good location a short tram away from the city centre and Munich's main train station. Comfortable hotel closed to the railway station and the city centre. Parking place available for extra fee. Small, but convinient room and good breakfast. Ideal for one night stay in Munich. beatiful luxury hotel studio/apartment hotel exceeds 5 stars .. excellent city center location few steps for every thing a tourist needs. Highly helpful customer focused management. Clean, large, very comfortable I think it should be one of the best hotel in Munich. Very near to City Centre, though the price is not that expensive. The hotel had one of the best breakfasts we ever had. Excellent beds. A bit further from the city centre than we thought. Good, welcoming staff. One of the best hotels in Munich,very good location, comfortable clean rooms, great food and friendly staff. The best advantage is the location. A good hotel in a location not far from Munich city centre. It is right next to the Deutsches Museum. It is sparklingly clean. Very clean, comfortable boutique hotel. Great location fir getting into Munich city centre by train. One of the best hotels in Munich Like it very much .